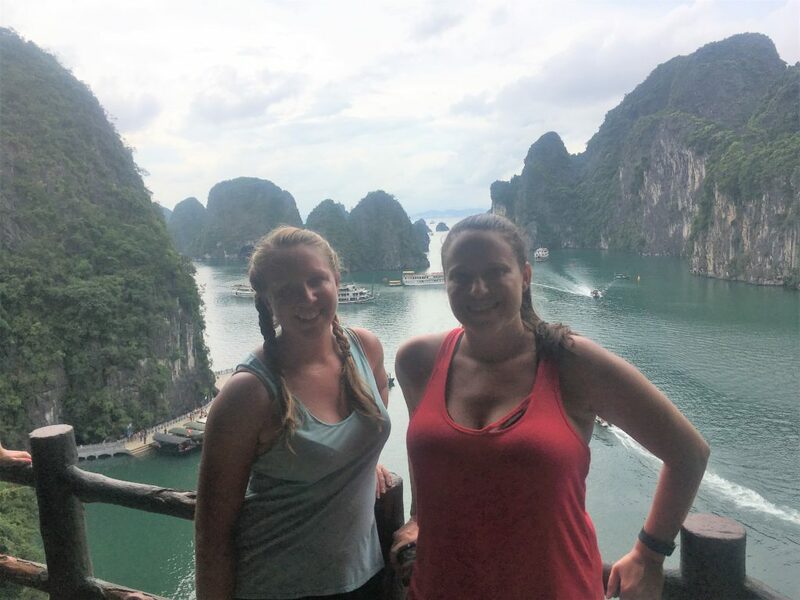 Last year, my friend Sarah and I went on a 2-day/1-night Halong Bay Cruise. 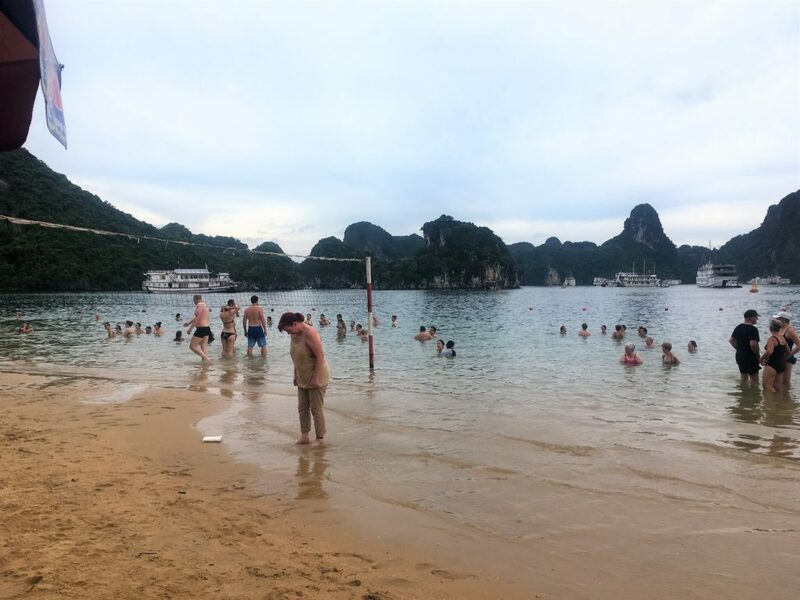 Halong Bay (sometimes written as Ha Long Bay) in Northern Vietnam is one of the most beautiful places to which I’ve ever been. UNESCO designated the area a World Natural Heritage site in 1994. The Bay, which covers over 600 square miles, is home to 1,969 limestone islands. 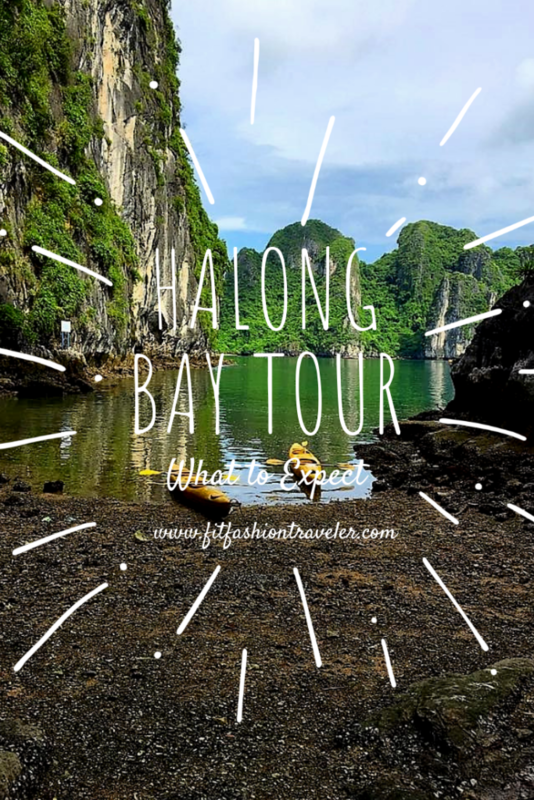 If you are planning to spend any time in Northern Vietnam, you should add Halong Bay to your itinerary. If you want to learn more about what to do in Hanoi while you’re there, check out my blog post on 48 Hours in Hanoi. 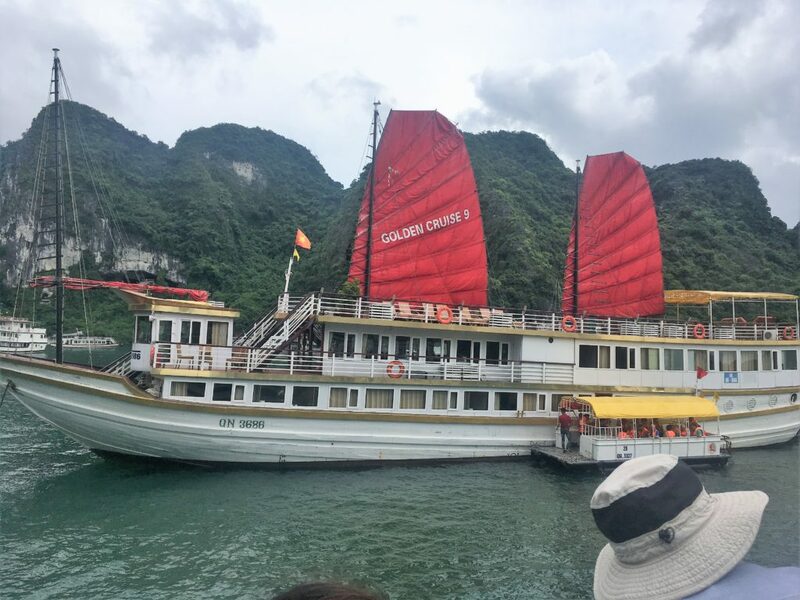 Read on below to learn what your 2-day/1-night Halong Bay cruise experience may be like. 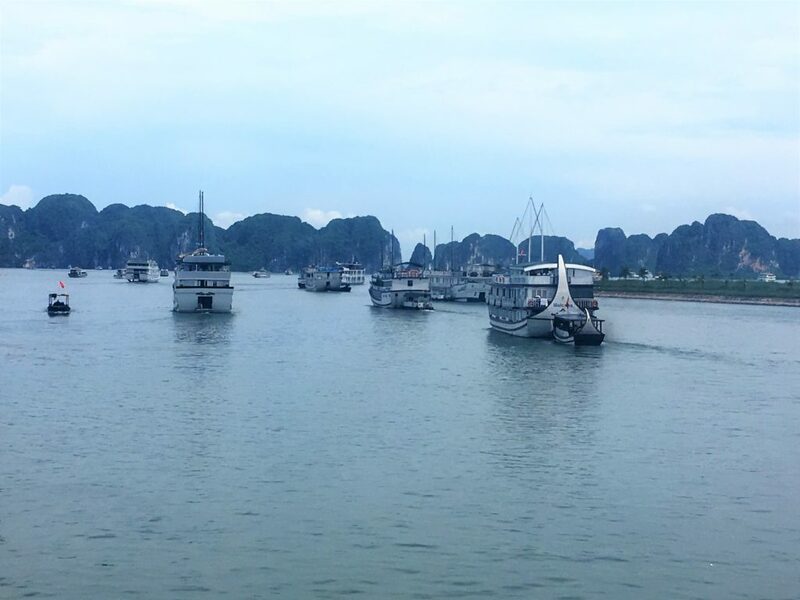 The departure port for all of Halong Bay’s junk boats is about three hours from Hanoi. Your driver will pick you up from your hotel in Hanoi and drive you to the port. Along the way, you will probably stop at a rest stop/marketplace in the countryside. The goods in the marketplace are beautiful hand-made Vietnamese items like tapestries, glass bowls, woven fabrics, and lacquered vases. You know everything is authentic because you can see the goods being made right in the marketplace! Note that payment for everything, including food and drink, is cash-only. If you don’t have a chance to buy something on the way to the boat you will likely stop here again on the way back. From what we could tell, all of the junk boats departed from the same port. When we arrived there were hundreds of people waiting to board the myriad junk boats in the harbor. Our guide led us efficiently through the crowds to our dinghy that brought us to our boat. We were on board receiving the safety protocols within an hour of arriving at the port. We then had some time to settle-in and explore the three ship decks before the armada of junk boats made their way into the Bay. Your visionsof Halong Bay may include a sole junk boat floating along by itself among the islands. In reality, most of the cruises travel the same routes at the same time. The boats are far enough away from each other that you don’t feel as though it is merely a ship caravan, but the only real difference among cruises was probably the accommodation and food quality. Though we were not on the most expensive cruise, we were impressed with everything our boat offered. The one issue was that WiFi was “available” but didn’t really work. Even so, this “problem” added to the secluded nature experience of the weekend. 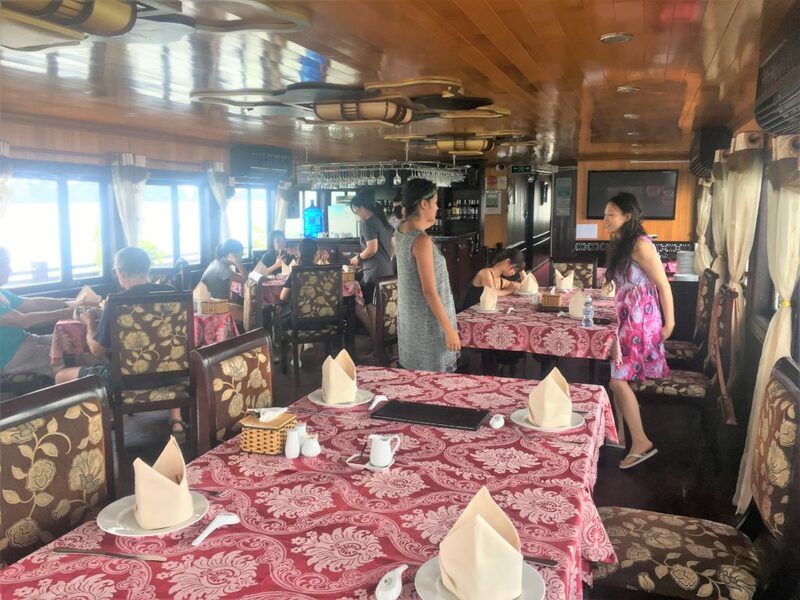 Once our Halong Bay cruise had set sail, we were treated to the most delicious lunch. Dishes were served one at a time, and they just kept coming! There were vegetables, rice, fish, and other meat along with delicious sauces. 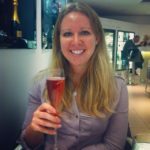 All the food on the cruise was included, but drinks cost extra at about $5 USD per drink. If you buy drinks, you will keep a tab throughout the trip and pay at the end. The Hang Sung Sot cave complex was the first stop for our Halong Bay cruise (and many other cruises). Hang Sung Sot means “Cave of Surprises”. Many of the islands have caves in them. The Hang Sung Sot cavern is one of the largest in the Bay. We spent about an hour hiking up to the cave entrance, exploring the cavern, and taking in the sights from a few hundred feet above the Bay. 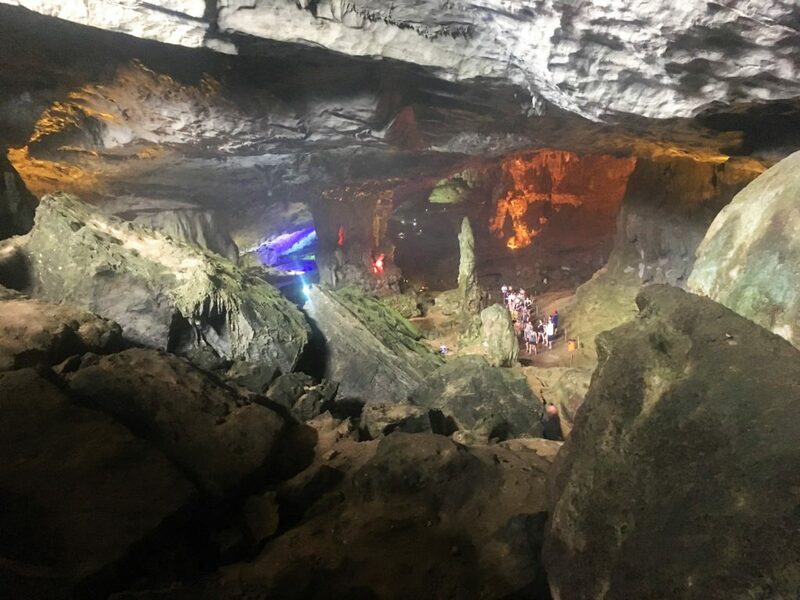 During our visit, we were told about the natural history of the caves and some Vietnamese folklore, like the importance of the dragon and the tortoise to the area. Your next stop will be the beaches of Ti Top Island. 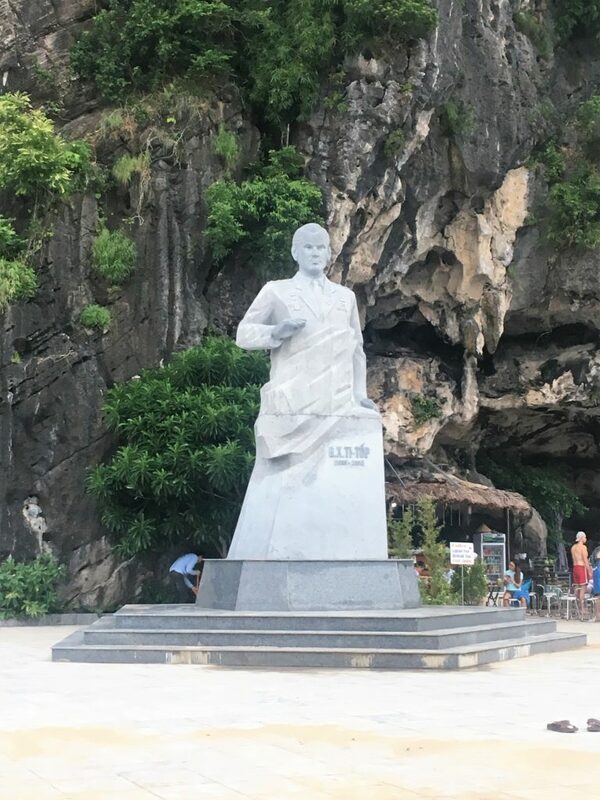 Ti Top was a Russian cosmonaut who visited Halong Bay in 1962. During his visit to the Bay, Vietnamese President Ho Chi Minh named an island after him. His statue is one of the first things you encounter when you arrive from your junk boat. 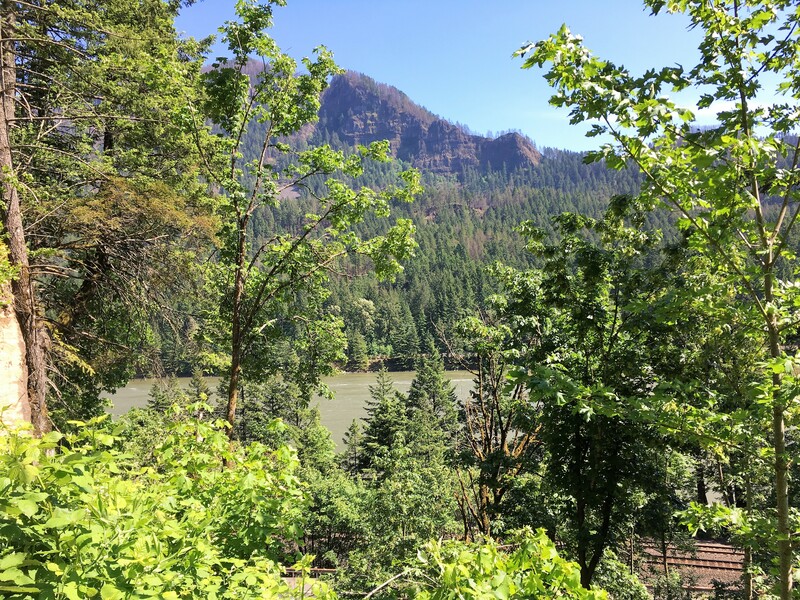 Just beyond the landing site is a recreational beach with a swimming area, sand to lay on, concessions available for purchase, and even a volleyball net! Our cruise gave us about an hour to enjoy the area on the first day. We sat on the beach enjoying fresh coconut water and fruit, then spent some time swimming in the warm Bay waters. The one downside to the area is the presence of jellyfish, but overall it was a fun experience. Upon returning to the junk boat, you have time to shower and enjoy a (complimentary) drink on the roof deck before dinner. With about 20 guests on board, you have plenty of space to spread out and grab a deck chair to watch the islands sail by. You also have the chance to meet some fascinating travelers from around the world. 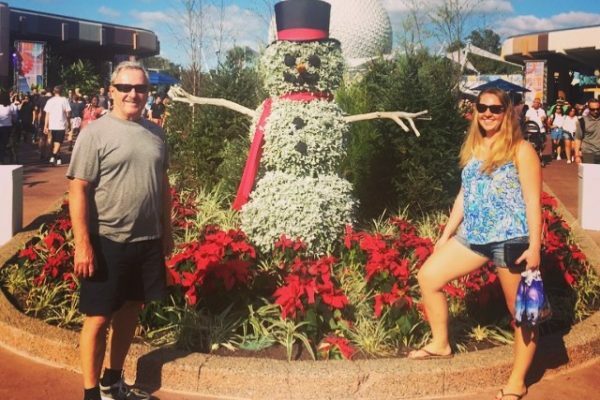 I encourage you to use your downtime on board to learn about the other guests’ experiences. Dinner again consists of many different courses served individually. For this meal, the head chef puts on a show cooking the main dish on the stern of the ship! 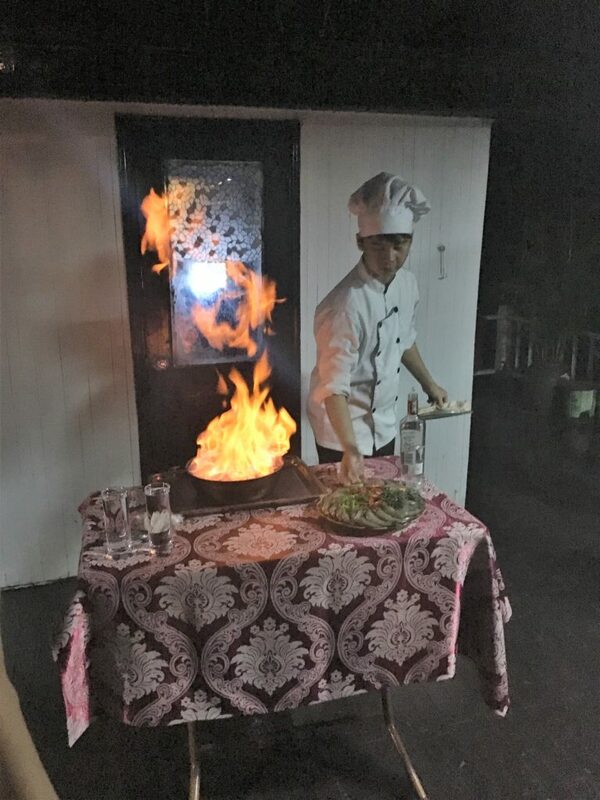 The V’Spirit Cruise chef put on a show for the guests with lots of fire and theatrics while cooking a fish-and-vegetable stir fry for us all to enjoy. You will probably have the option of trying to go squid fishing after dinner. When your junk boat anchors for the night and shuts off its main lights, your guide may hand out long rods with strings attached that you hold over the side of the boat in the hopes of catching squid. If you do manage to catch something, it will be served the next day for lunch. 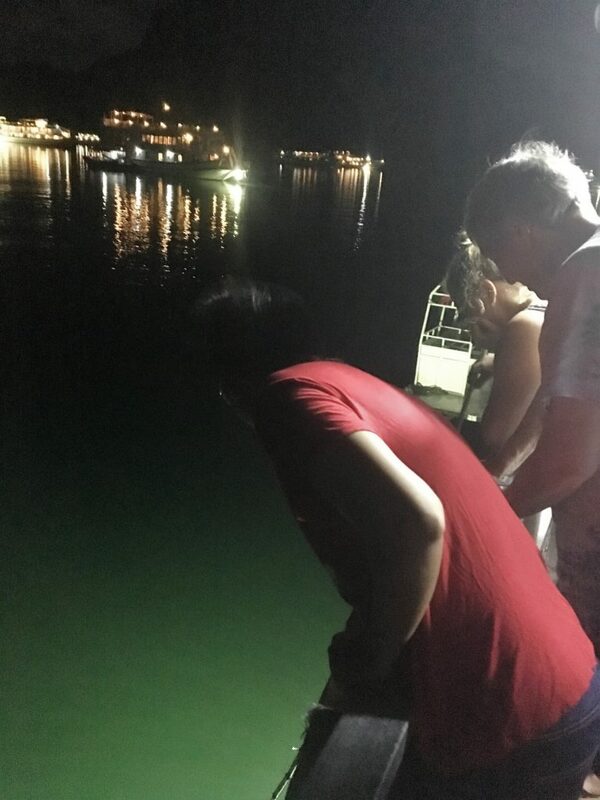 However, none of our guests had any luck fishing, so our boat had extra squid on board to serve us anyway. You may have the option of an early-morning Tai Chi class on day two. 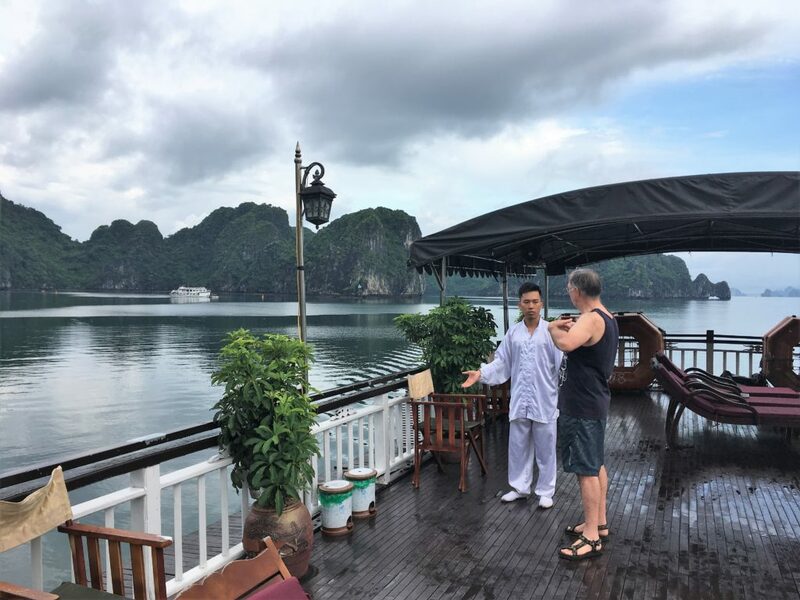 After class, during breakfast, you Halong Bay cruise guide will tell you about the activities for the day ahead. 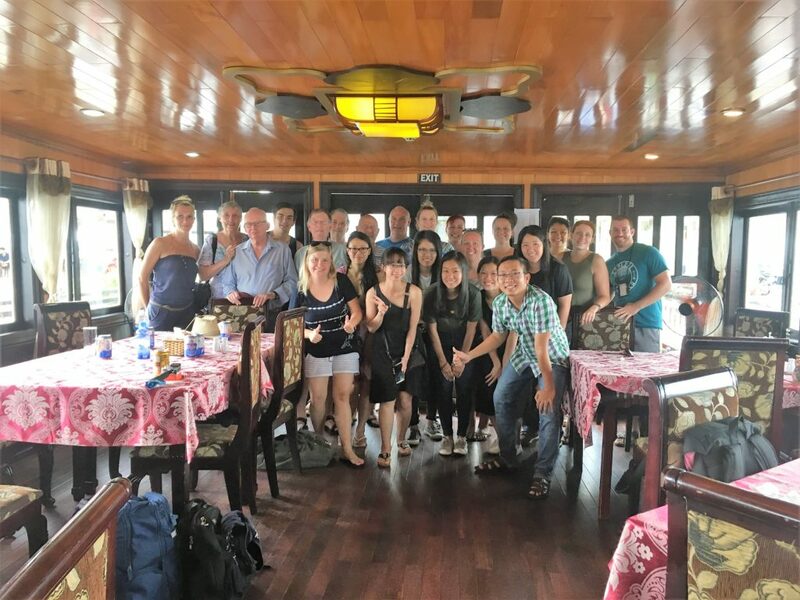 These activities include kayaking among the islands, visiting a floating village, a cooking class during lunch, and a visit to a pearl factory on the way back to Hanoi. 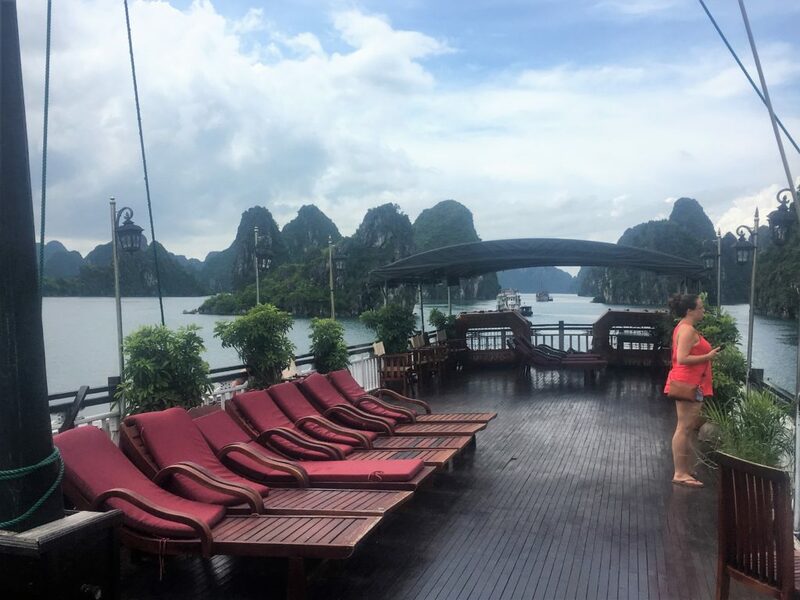 I am not usually an early-riser or a morning person, but when presented with the once-in-a-lifetime opportunity for a tai chi class on a junk boat roof deck while floating through Halong Bay, I had to take advantage of it. The boat’s instructor led the guests through a series of gentle exercises to help wake us up, get our blood flowing, and connect with the nature around us. No rooftop or beach yoga class has ever been as peaceful as this was. Halong Bay used to be filled will permanent residents in floating villages. These consisted of rafts tied together with house structures atop them for living and schooling. The residents ate mostly fish caught in the Bay. They made money by selling goods to tourists on the junk boats. Recently, the Vietnamese government provided incentives for the residents to move from the floating villages into land communities. It is considered both safer for the residents and better for the environment for them to live on land. While controversial in many ways, one downside of this policy for tourists is the lack of floating villages to now visit. Our tour group saw just one in the area in which we went kayaking. There was one resident who pulled up to our boat to try and sell some things, but the village wasn’t as active or bustling as it probably would have been years ago. The majority of day two was spent kayaking in our own little corner of the Bay. Each junk boat has its own space in which to go kayaking: no other boats were in our area. 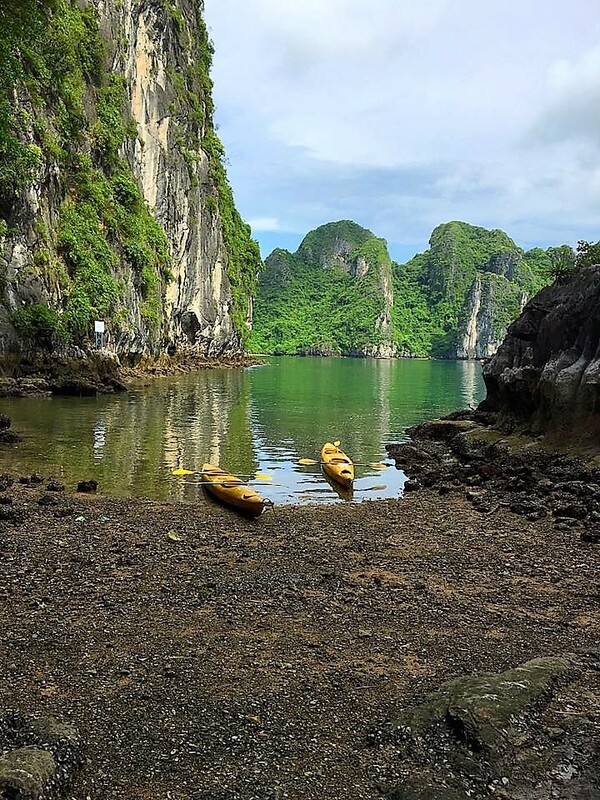 We had the choice to just kayak around the bay or explore the caves and shores of the islands around us. Sarah and I opted for the latter. We had the best time traveling between the islands to see their natural beauty practically untouched by humans. On the way back to port you will probably receiving a cooking demonstration and class from the head chef. 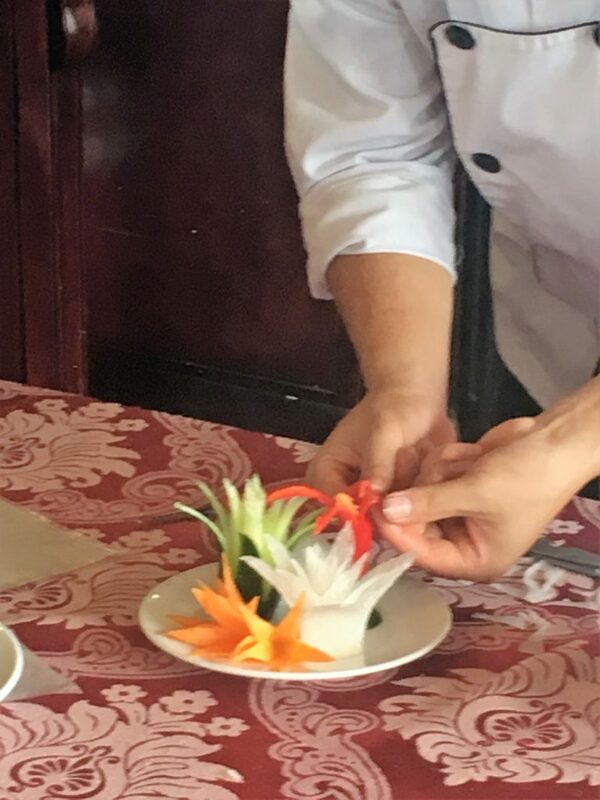 We saw myriad vegetables transformed into beautiful flowers with a paring knife. Then, we were provided ingredients for spring rolls and taught how to add water to the rice wrapper, choose our fillings, and wrap the rolls. These became the first course in our filling lunch, the last meal on our Halong Bay cruise. On the trip back to Hanoi, we first stopped at a local pearl factory. Halong Bay is filled with oysters that the Vietnamese use to create pearls. 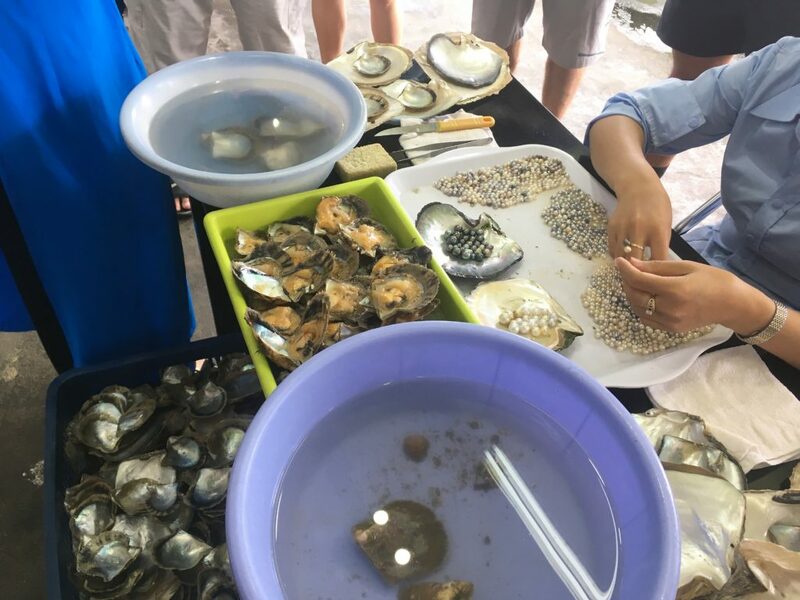 We were shown how a pearl is initiated in an oyster, how the pearl forms, how it is harvested, and how it is made into jewelry. 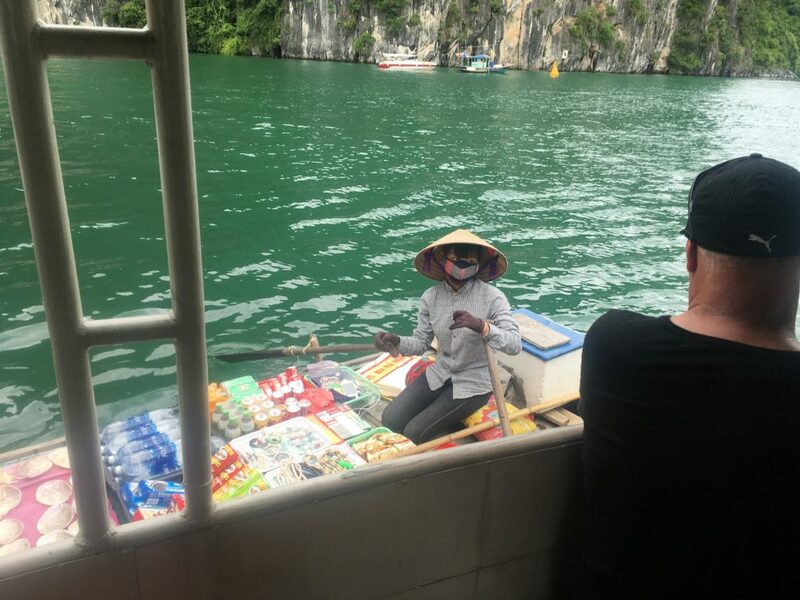 Of course, part of this tour included the implication that the tourists should purchase some of the final products, but I found the prices outlandish for Vietnam. Luckily, the sellers weren’t too pushy and we could admire the jewelry without buying anything. Our global cruise group and guide! 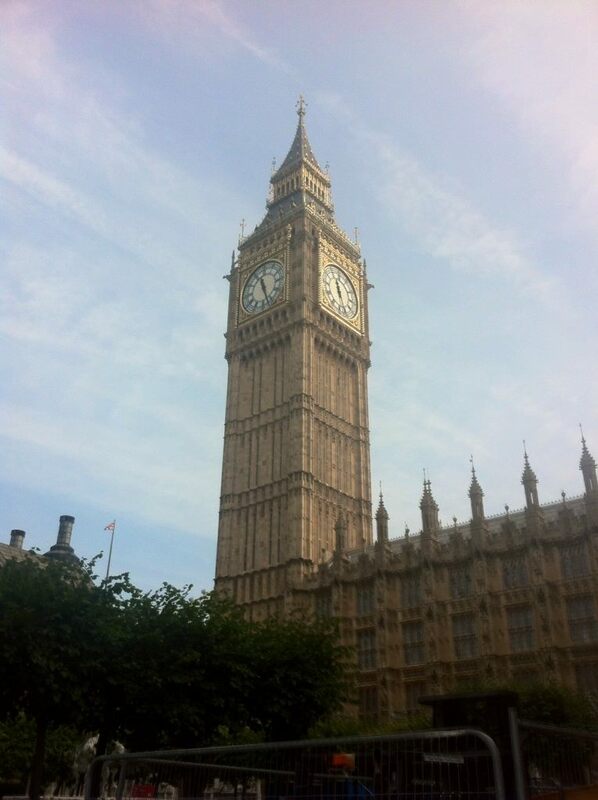 *Note that if you use this link I receive some compensation at no extra cost to you. Thank you! Thank you! I’m glad it was helpful! Please let me know if you have any questions!